Come join one of our pocket teacher trainings at The Vimana House studio, or host one at yours. We have many styles of training you can choose from based out of the Vimana Yoga book you can purchase at our studio or on amazon. Beginning Vimana goes through the alignment, breath cues, and basic sequencing and foundation for all yogis. Stretch/Yin is two trainings in one; a slow stretch style practice and then the mediation, A-symmetry that are essential to teaching Vimana Yin. Vimana Flow is based on vinyasa flow principals while incorporating long sequences and unique postures from The 84, Ashtanga, and key set ups for successful Inversions. Fusion allows us to blend and play in practice in a way that sparks your creativity. When we practice fusion we suspend our limitations around the structure of practice, and allow things to evolve organically, as well as the blending of postures that allows us to explore what's in between. The pocket trainings are broken down into four fifty hour blocks. This is for the seasoned teacher, as well as someone who wants a thural foundation as they begin their yoga career. Every summer we offer an opportunity to do the full two hundred hour program in one consecutive block, or come in for a week or two as you build your credentials and teaching chops. 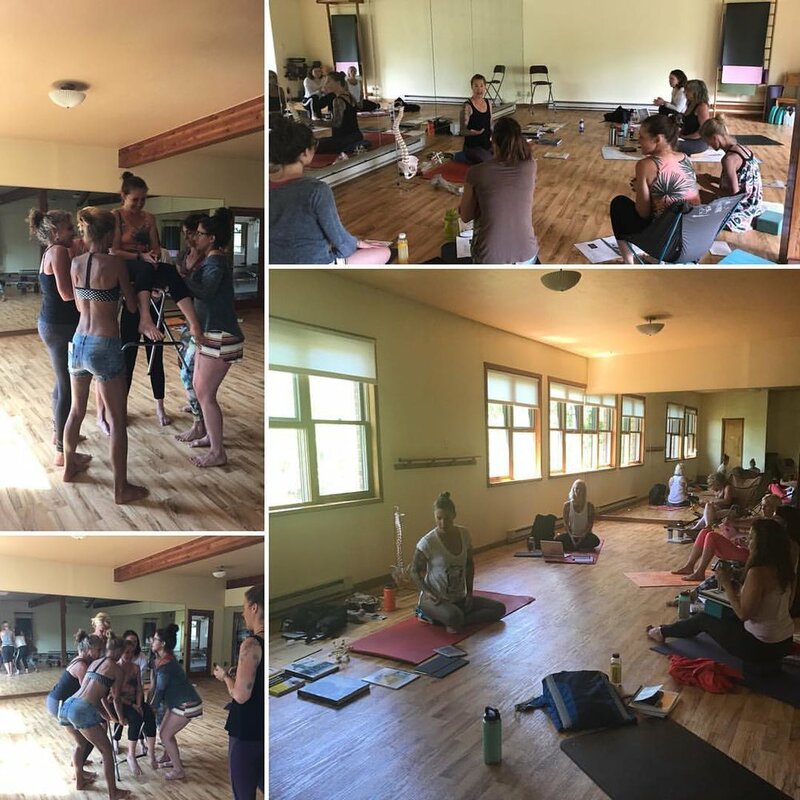 We will be adding trainings to the schedule throughout the year, or if you have interest in collaborating and having Vimana Yoga be a part of your existing training program, or hosting a pocket training please contact us so we can support you and your yoga community.